I love shortcuts. I love to be productive. Shortcuts tend to increase developer’s productivity by 146%. To learn Atom’s shortcuts I’ve found this cheatsheet and I liked it for the most part, except I had to toggle between Atom and Preview App to go and check for a shortcut needed for a certain action. That’s why I wrote this extension. 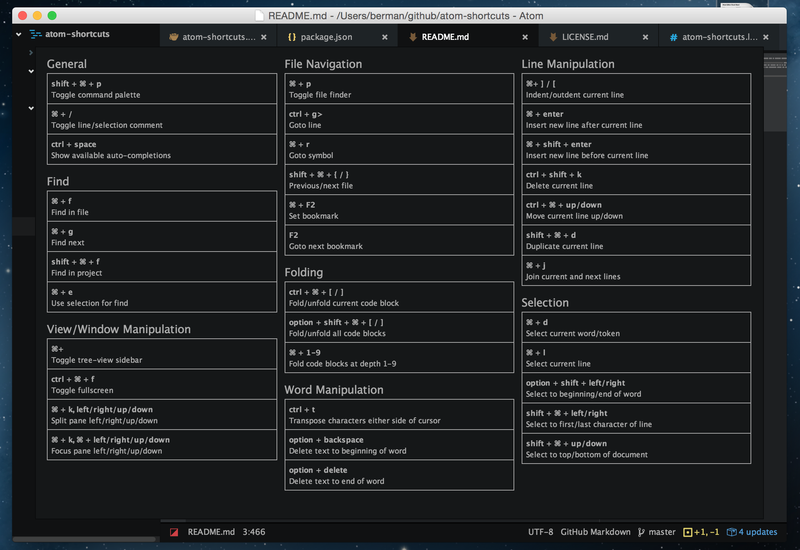 Simply hit **ctrl + ** (ctrl + backtick`) and you will get a cheatsheet on your screen immediately.